Soft14: It'sMe - Create fully animated 3D characters from a single digital photo! Create fully animated 3D characters of yourself and friends from a single digital photo! ItsMe blasts you into a new realm of high impact 3D animation, opening your digital photo collection to a new world of possibilities and interactivity. Use your own photo's to create astonishing personalized & fully animated 3D characters of yourself, your friends, or anyone. 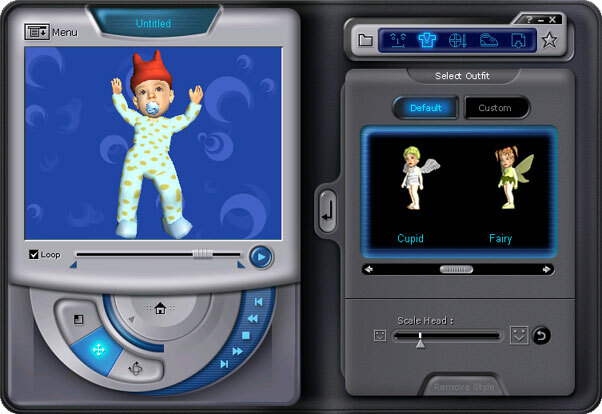 ItsMe is packed full of outfits and accessories ready for you to customize your own 3D character, you can even add your own face! Once complete you can export in one of many different file formats to share with your friends or for professional results use the inbuilt Export Wizard to create high quality looking desktops, greetings cards, email signatures, etc. Note: This trial version includes 8 outfits and 20 motions, plus adds the developer's Web address to all saved images.